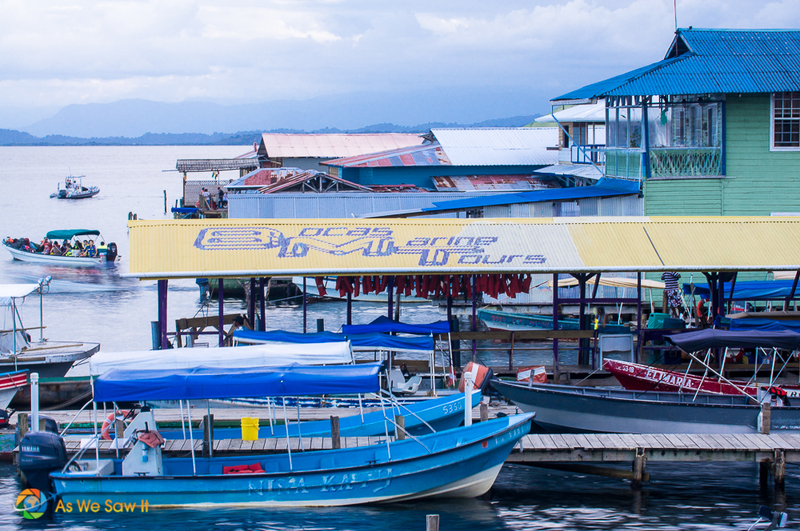 This weekend we decided to jump aboard a plane for two days in Bocas Del Toro, Panama. It is a short flight which we take from Panama City's Marcos A. Gelabert airport in the Albrook area. The flight is only 45 minutes and has great views of the interior of Panama. 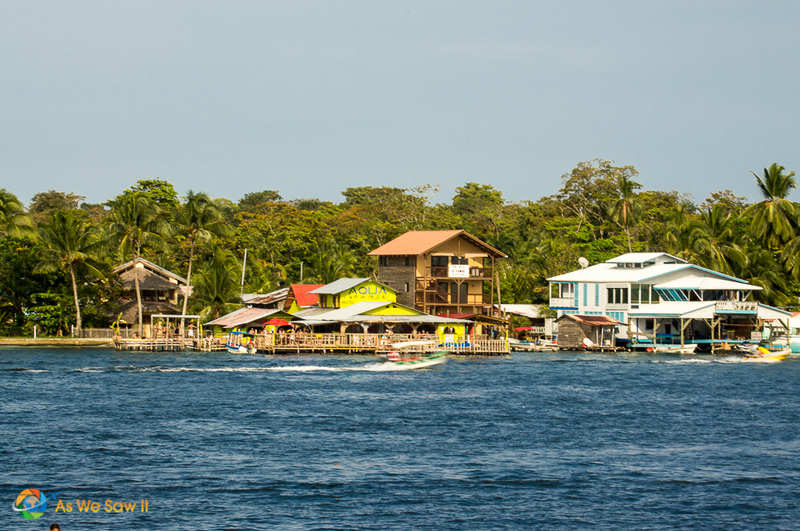 Bocas town is the main town of the island section of Bocas Del Toro province and houses the only airport. There are four main islands that tourists visit, Isla Colon, Isla Solarte, Isla Bastimentos and Isla Carenero. 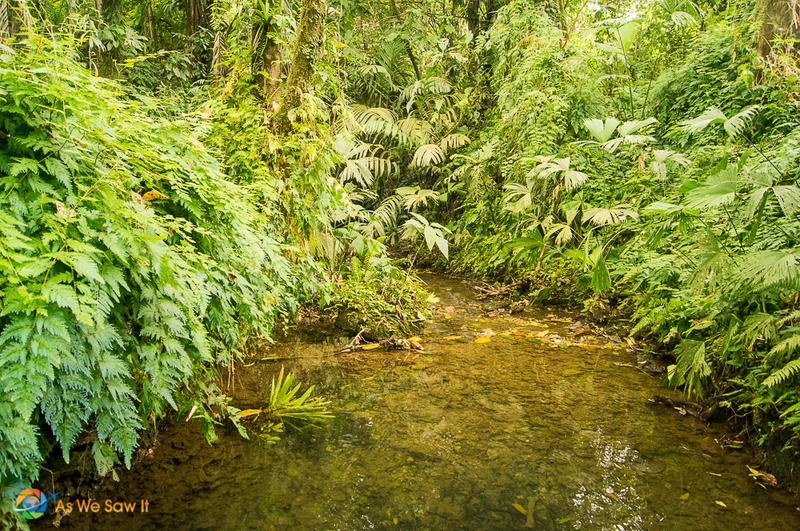 Isla Bastimentos has the famous Red Frog Beach, where many poison dart frogs can be easily found. 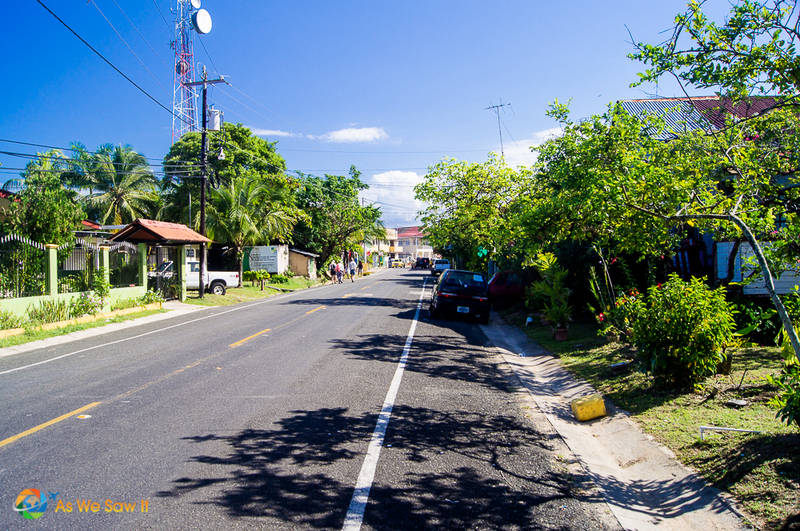 We spent the rest of the first day exploring Bocas Town. There is so much here, yet so little pressure to do anything at all. 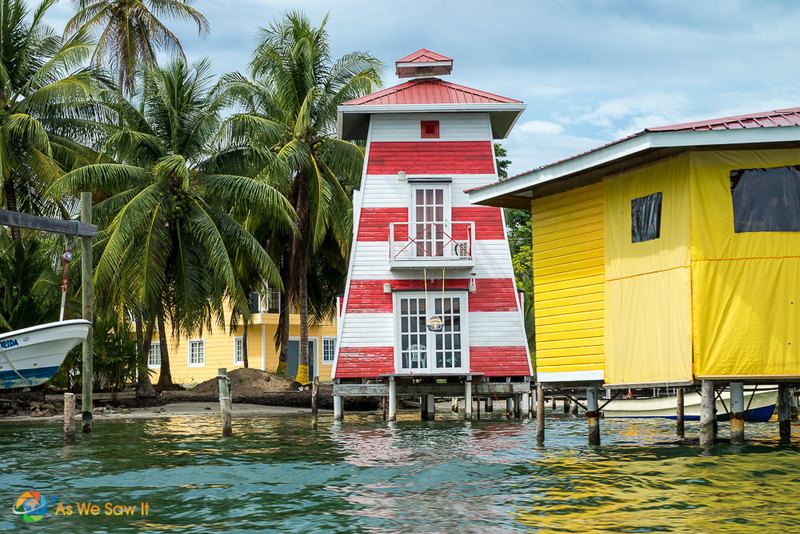 Bocas Town is a sleepy little town with a deep island feel like many other Caribbean islands but without the outrageous crowds. Just walking the streets you get the feeling you have drifted away back in time to a less stressful period. 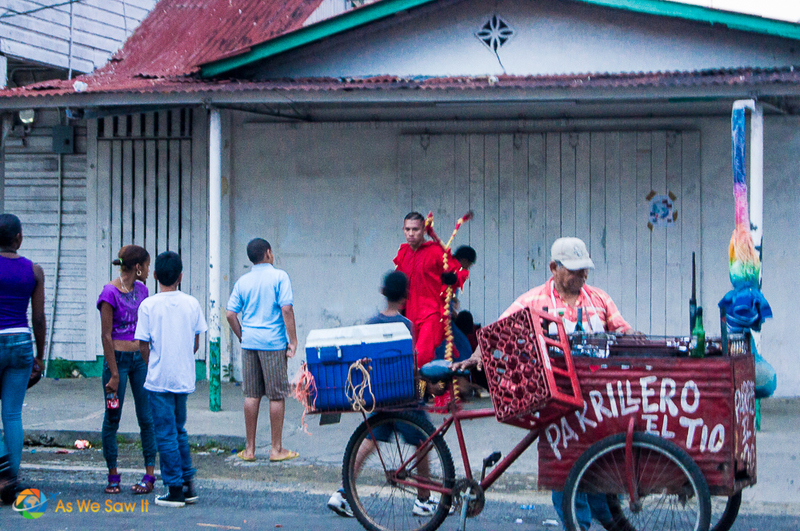 Street vendor with a modified bicycle. Reserve area in the middle is Isla Colon. View of the bay separating Isla Colon and Isla Carenero. 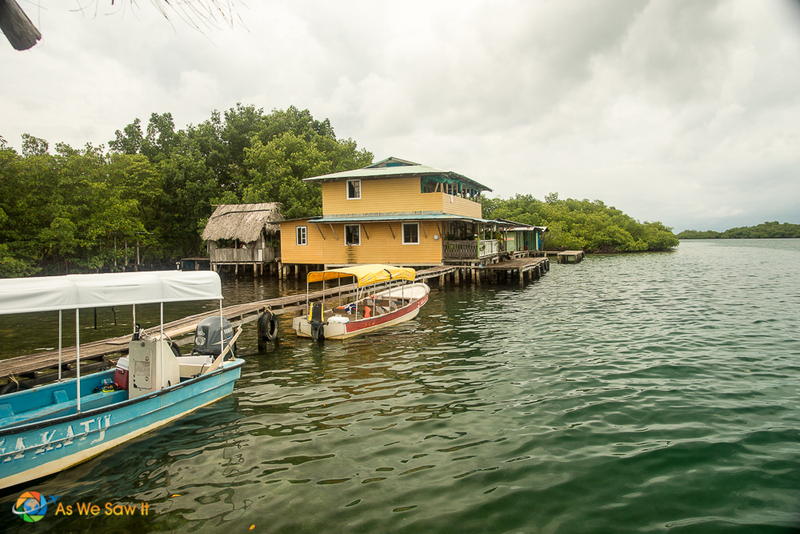 Buildings on Isla Carenero, just take a water taxi to visit. Had a drink at Bibi's on the Beach. That evening we sought out good food and entertainment and had great success. We found both items on our list available at Lemongrass Cafe. We had a perfectly seared Ahi Tuna steak with Asian fusion flavors and a delightful gentleman playing guitar for us during the meal. 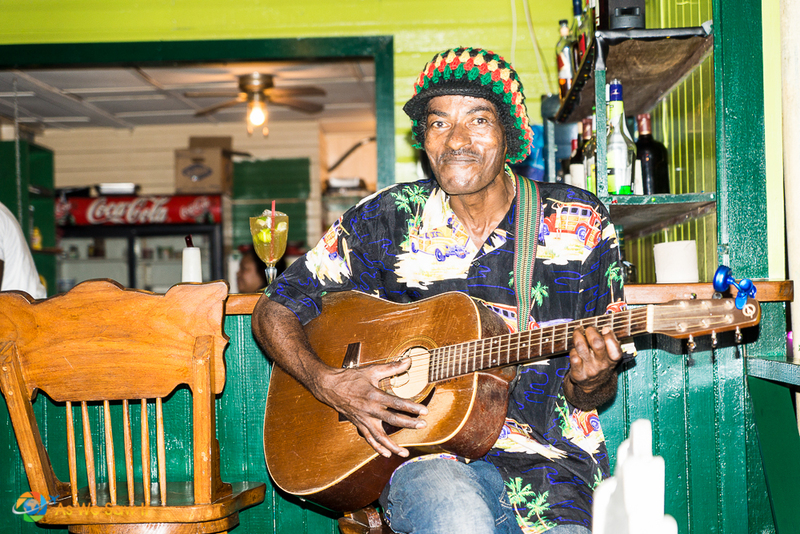 With Caribbean style music filling our ears and Ahi tuna filling our stomachs, the evening was perfect. 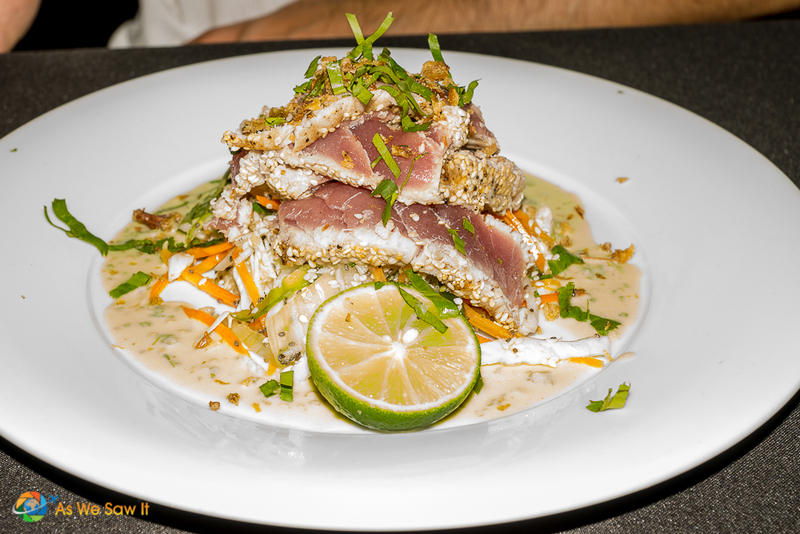 Seared Ahi Tuna with Asian Fusion flavors at Lemongrass Cafe'. Our evening entertainment by this delightful guitarist. Evening snack from a street vendor. The next day we took a tour that included dolphin watching, island cruising and snorkeling. I was so excited about the underwater part of the tour that I sent that postcard to you first. The rest of the tour was great, too. 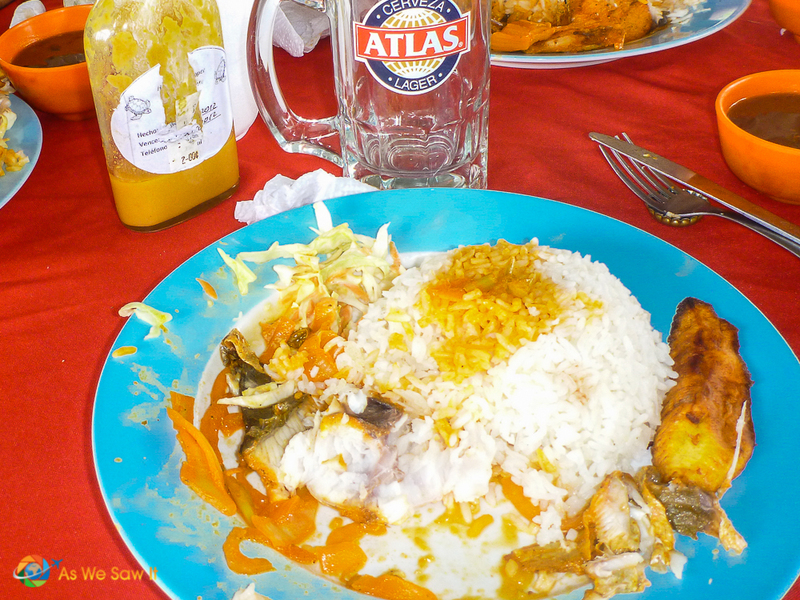 We stopped at a place for lunch that seemed behind God's back, and had a delicious meal of fresh caught snapper and maduros, sweet fried plantains that are a Panamanian staple. You would love them! Catch a boat tour from the marina. Boats lining up for lunch at Jasmin's. 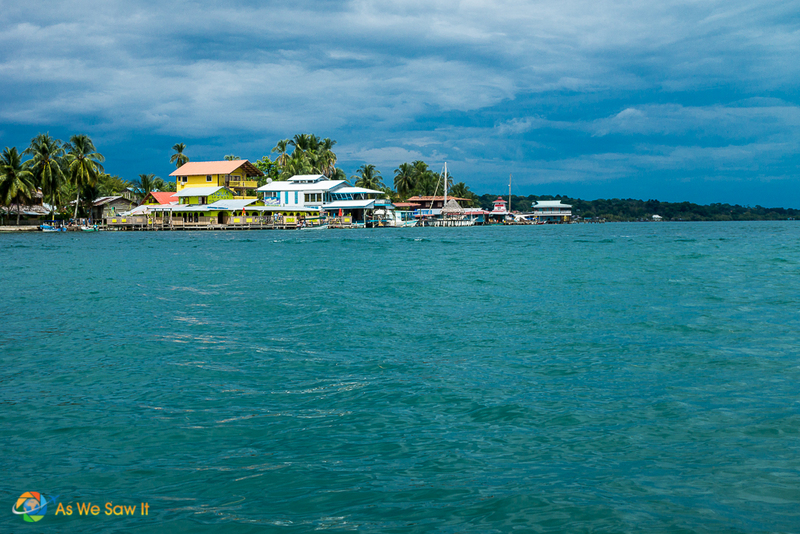 Catching the tail end of a fast swimming dolphin in Bocas Del Toro. Linda (nana) and Dan (pap) at Bibi's on the Beach. Snapper with rice and Maduros, a sweet fried plantain. 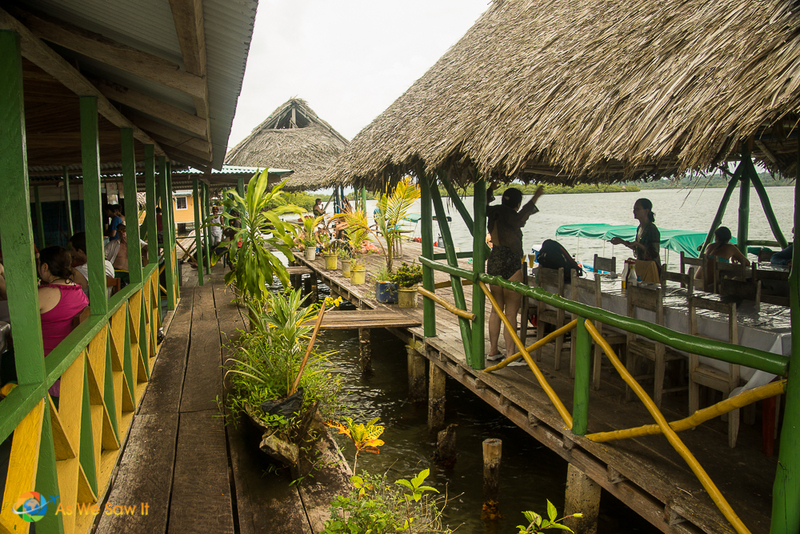 Jasmin's Café in Bocas del Toro, located somewhere behind God's back. After lunch, we cruised over to Red Frog Beach on Isla Bastimentos for some swimming and to attempt to catch a red dart frog. We enjoyed the vast expanse of white sand beach that Red Frog beach offered, but spent more time catching those frogs. Our guide reminded us that if you catch one, it is important to not touch any mucus areas of your body and go wash your hand when finished, as these frogs do secrete a poison used to hunt by native Indians. Red Frog Beach on Isla Bastimentos. Walkway to Red Frog territory. Just set this little guy free from our hand, a Poison Dart Frog. 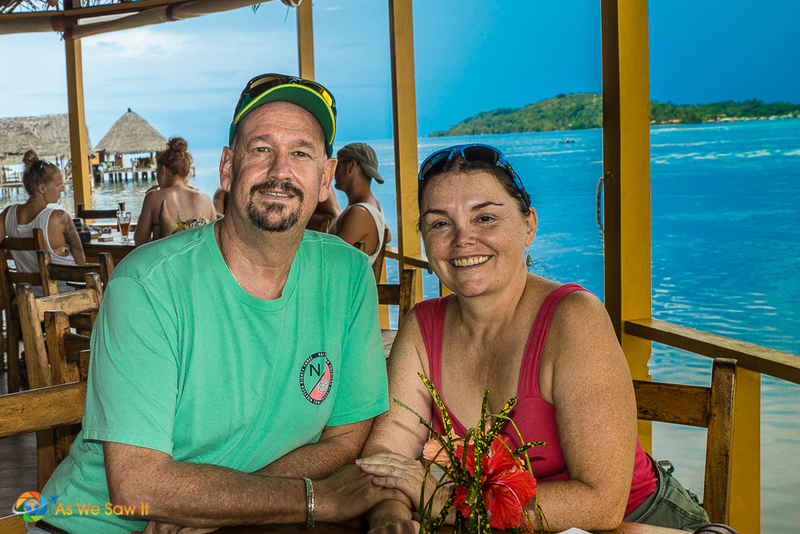 Well, it is sadly time to head back to pick up our luggage and fly back to Panama City after two wonderful days of doing everything in Bocas Del Toro while doing nothing at all. The best vacation of its kind. 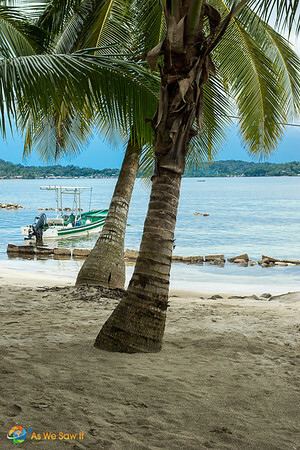 Palm trees, boats and beaches are the call of the day in Bocas Del Toro, Panama. 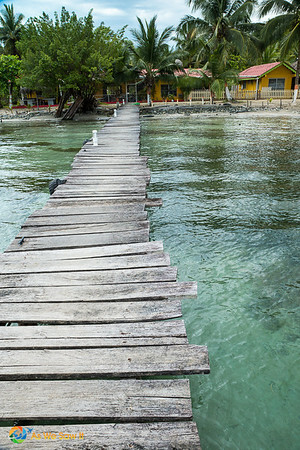 Pier onto Isla Carenero over crystal clear waters. 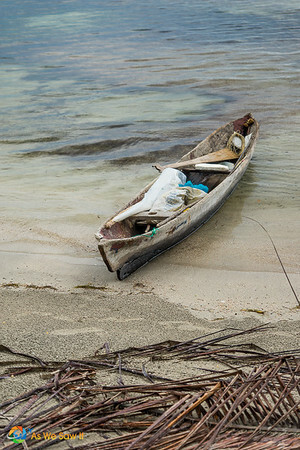 Dugout canoes still in use on Isla Colon. Depends on the tour operator and when the trip starts, but I’d guess most trips will be fine. Any excursion that gets you back by 4:30-5:00 pm should give you plenty of time to grab your bag and get to the airport. Bocas’ airport is tiny and really close to town. Your biggest challenge will be getting a ride there. Not that getting taxis are a problem, it’s just that the rest is so easy. Have fun. That looks like a fantastic day to kill a couple of days. 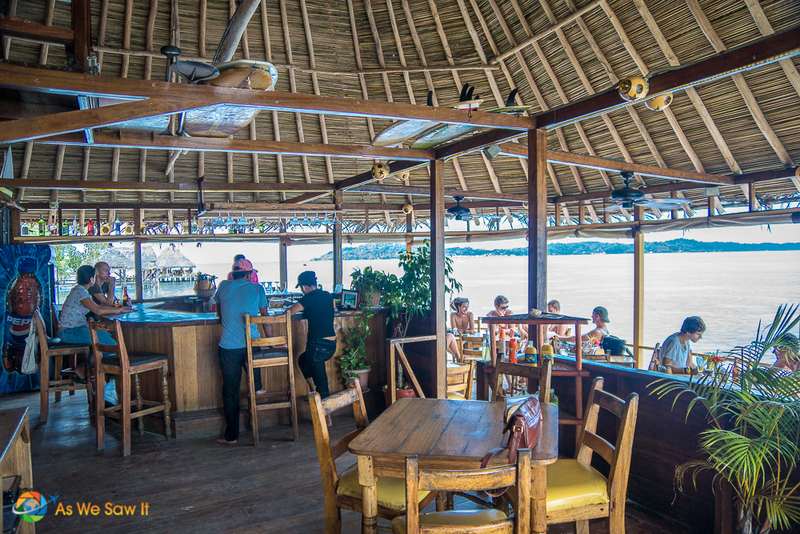 Good food, good people and a great location. It’s a great way to detox from city life, that’s for sure. I have enjoyed all your colorful photos. The food looks so delicious. 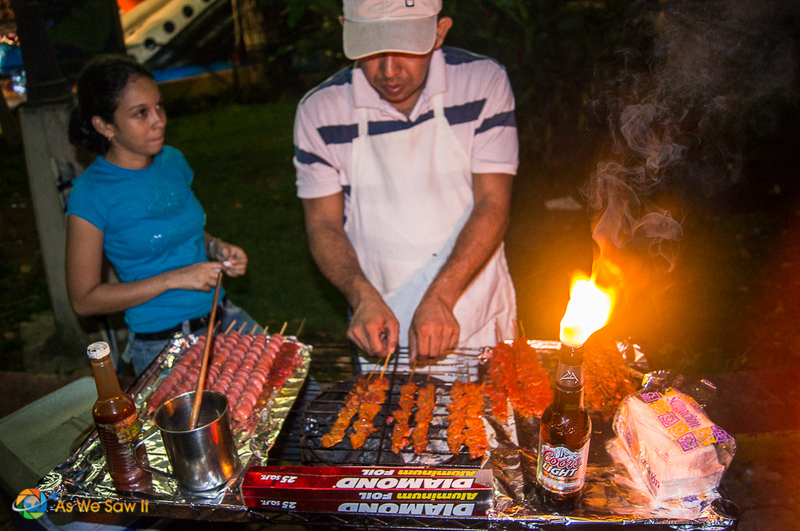 I can see myself having maduros or patacones with fried or grilled fish. I have always wanted to do trip including the Costa Rican Caribbean and Bocas del Toro. That sounds like a great trip, Ruth. Maybe we should go with you. 🙂 It’s only a short boat ride from Bocas, but I am almost embarrassed to say we never got to Costa Rica. You can’t beat it for beauty, Lyndall, and it’s a perfect spot for people who prefer the party life. Panama looks very much like a tropical paradise and I need one right now. I miss relaxing on a beach like that and eating some seared ahi…. that little red frog is adorable! I’m with you, Anda – we could use a tropical getaway right about now as well!